We are the leading manufacturers & suppliers of Industrial PVC TUBING PLANTS that play an active role in creating packing bags, carry bags and rain wears. These are available in many specifications including capacities that range upto 100 KG/Hr. Our plants are comprised of Control Panel and Cooling System that facilitates the easy production process. We deliver these plants to our clients after proper quality check to ensure best quality and long service life. To fulfill the diverse requirements and needs of our valuable clients in the best possible manner we are passionately engaged in offering to our clients a wide range of Plastic Recycling Plant. Offered range has hydraulic screen changer with power pack, the main electric panel with thermoregulation zone & electric drives and transmission via V-belt. These products are manufactured by experienced professionals using the best quality basic material as per the industry quality norms. Owing to the vast industry experience and in-depth knowledge of this domain, we are offering a huge collection of high-quality Blown Film Plant. These products are manufactured using optimum quality raw material as per the industry quality standards. These products are widely used to manufacture packing bag, carry bags & rainwear construction. 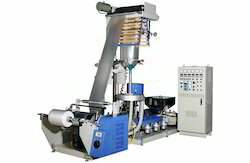 We are well acclaimed as a prominent firm engaged in developing highly demanded LDPE Film Plant. 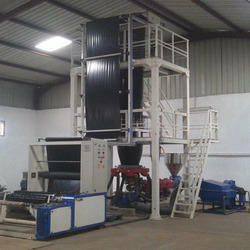 These plants feature the methodology of blowing plastic material and processing the film. 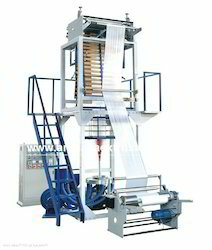 Developed with heavy duty bearing housing and computer controlled panels, the offered plants adhere to the set industry standards. Our prestigious clients can avail these plants with latest specifications from us at a nominal price. We are leading Manufacturer and Supplier of HM Blown Film Plant.